I recieved a tweet last night from the lovely Gem of fairytalegem.blogspot.co.uk to inform me that she had very kindly nominated me for the Liebster blog award which was a very nice surprise! 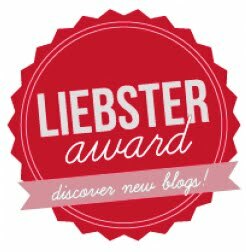 The Liebster Award is a chain mail award, invented so you can discover new bloggers! You have to answer 10 questions by the person who nominated you and then nominate people yourself and create questions for them to answer. As I'm fairly new to blogging and have recently discovered some new bloggers I adore, I decided to do this too! 1. What Inspired your to start blogging? I've always been interested in blogging and have run a few different accounts over the years, my most successful being Cherry Bomb Weddings. I wanted to do a beauty/fashion/lifestyle blog to meet new people, experience new things and to have a sort of diary of my life. 2. Out of all of your blog posts, which was your favourite to write? I am so so proud of my achievement and how far I've come. I think I've faced a fair few obstacles and have proved to myself that I can do it, when I set my mind to it! 3. Do you have any fears? If so what are they? Height! OMG heights! I'm terrified of heights! My friends house has a balcony and they are 13 floors up, I almost ended up crawling back into the flat! I think all time fave has to be Rocky Horror Picture Show. I was obsessed with it as a teenager and Tim Curry is just amazing. I will never turn down a chance to watch it! I have to admit Grease comes a very close second though! 5.Which three people, living or not, would you invite to dinner and why? My nan (passed away), Jamie Oliver & Alan Sugar. My nan because I'd love a catch up, she was a beautiful woman with a vest for life and literally nothing shocked her. I would love one last chat. Jamie Oliver because I watch all his shows, he comes across as a total sweetheart and I could totally get a few tips for my next dinner party! Alan Sugar, I'd love to get an insight into his business mind. See what drives him etc. I just think he would be a really interesting man to have a conversation with! 6. If you had the power to chance the world what would you change? I'd change hunger, in todays world there really is no need for anyone to go without food or water! 7. Would you rather - write a successful novel, star in a movie or release an album? I'd love to be musically talented enough to release an album! How amazing would it be? I trained in college to become a sound engineer and loved every min of it but it wasn't something I continued. My style crush has to be Hayley Williams! I love her punk edge and gorgeous hair! I'm not allowed unnatural coloured hair at work otherwise I'd still be rocking my pink fro! 9. Where would you like to spend your next vacation? This going to sound really boring but Ireland! I've wanted to go for ages! It looks beautiful and there's so much to do. It's definitely on my bucket list! 10. What is your idea of the perfect night in? Spending the evening snuggled up with my hubby watching Ugly Betty munching my own body weight in chocolate and popcorn & having my fave Yankee Candles burning. Oh yes please! Not all these gorgeous ladies are new to blogging but I decided that helping spread the word about their awesome blogs can never hurt! 1. Has the blogging scene influenced your daily life? 2. What's your favourite time of the year? 3. Snog, marry, avoid - who do you pick? 4. What's the biggest thing on your bucket list? 6. If you could give advice for someone new to blogging, what would it be? 7. Your all time fave outfit, what is it & why? 8. Desert Island beauty product & why? 9. What's your proudest achievement? 10. Tell us a weird fact about yourself! I hope this blog post helps others find some blogs they enjoy reading and I hope the gorgeous ladies I nominated don't mind! You don't have to continue this Liebster Award it is completely voluntary!